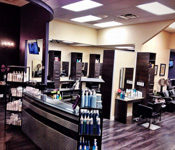 Velvet Lab Hair Studio welcomes you to enjoy your next hair experience at our location in Lake Mary, FL. We are proud to introduce our team of expertly trained, master stylists. 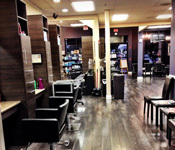 The team specializes in a vast array of current, trend setting styles, cuts, and more. 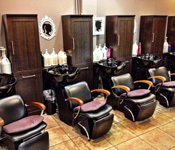 Please join us in our upscale atmosphere, while enjoying a complimentary glass of wine, while we pamper your hair! Make Velvet Lab Hair Studio your Lake Mary hair salon. Located in the upscale Heathrow - Lake Mary corridor, Velvet Lab specializes in stylish cuts for men and women, beautiful coloring and highlighting, blow drys, updos and more. We can also perform various hair treatments such as hair relaxers, hair straighteners, hair extensions and keratin treatments. Our sophisticalted and well trained stylists exemplify and pass on an aesthetic touch that is often difficult to find. Our address is 7025 CR 46a, Ste 1041 in Lake Mary, simply walk-in or pre-book your hair appointment with the stylist of your choice, Call VL today 407-444-6006. We've Grown! Come meet our ever expanding team of talented stylists. We've got an amazing assortment of personalities and styles that will guarantee you find your perfect "hair match". Creative cuts for both men & women focus on the latest styles and trends with shampoo, blow dry, and professional styling available. Our highly trained color experts offer color treatments, partial and full foil, color glaze/toner, corrective coloring as well as a variety of highlighting options. We offer make up application, hair styling and up-do's for weddings, proms, or any occasion. Our talented stylists will ensure you look perfect on that special day. When your hair needs to be more manageable, softer, smoother, or have more shine. Our keratin treatments are the perfect remedy. Inquire within about available options. We offer facial waxing services including eyebrow wax and shaping, lip wax, cheek/jawline wax and more.